Transition from laptop to desktop with a single USB connection. No need to plug in accessories and peripherals when moving from desk to conference room (or home to office) and back again. When we say universal, we mean it. 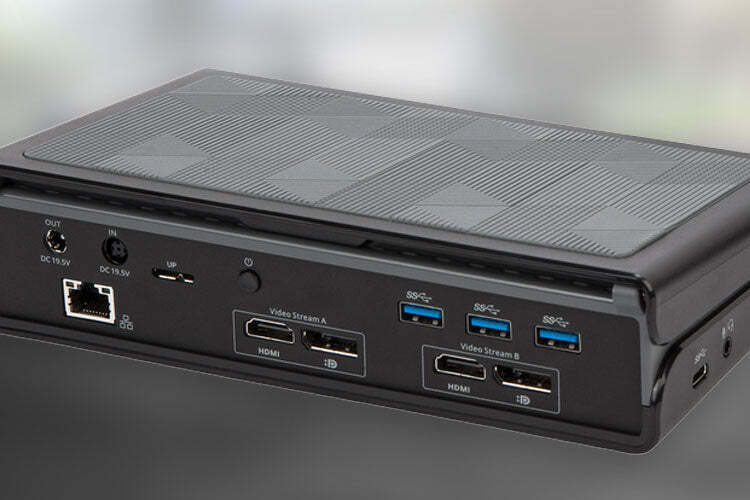 Targus docking stations connect your laptop, tablet, or smartphone to a variety of peripherals, from monitors and printers to keyboards and external hard drives, regardless of brand. That compatibility isn't limited to your hardware. Our docks also work across major operating systems, including Windows®, macOS™, Android™, Chrome™, and Linux®. Using a dock to connect multiple displays makes it faster and easier to switch between your spreadsheet and email or compare documents side-by-side. We’ve even upped the multiple display experience by creating the world’s first USB quad display dock that supports four HD 60Hz monitors. Now you can view your work in high resolution on not just one, but four displays. Whether you’re looking to blaze through large data, video, or graphic files, we've got a dock for that. 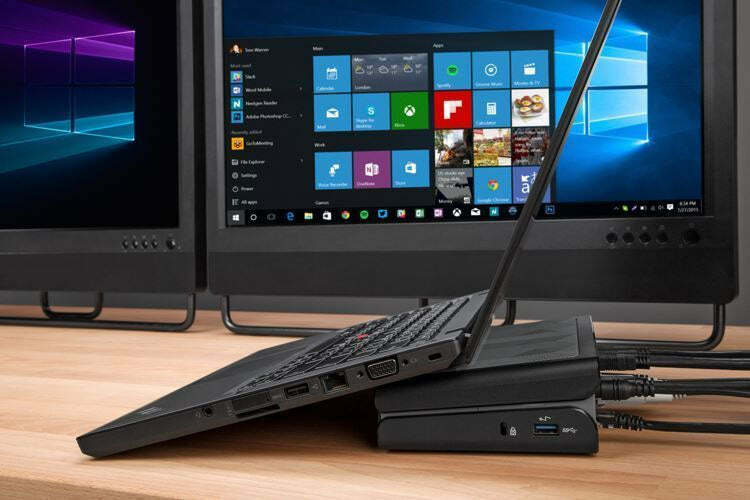 Our docks support various laptop connections such as VGA, DVI, HDMI, DisplayPort®, Thunderbolt™, and even USB-C (including Alt-Mode!). 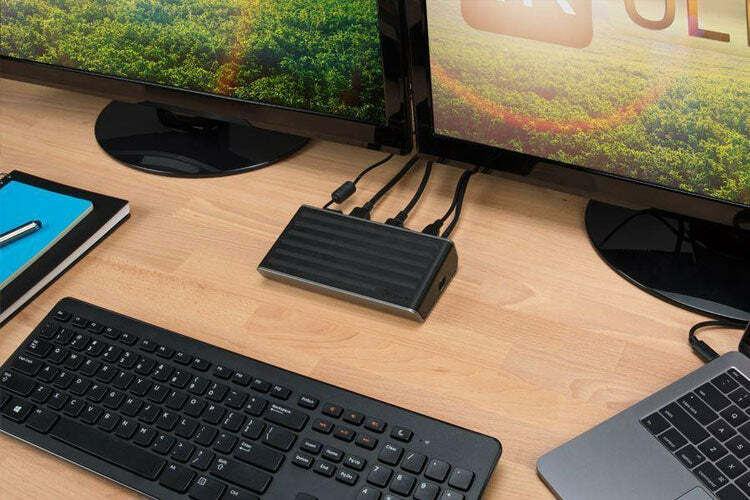 These docks are stacked with the necessary USB 3.0 ports to keep your key peripherals like mice, keyboards, and external speakers connected. A single connection links all of your peripherals to your laptop so that you can free up your desk space and keep the usual tangle of wires at bay. Whether you’re using one of our travel docks to easily take with you to your meetings or just love the simplicity of one easy connection with access to a number of ports, our docks are conveniently designed to help you get more done. Today's small business and large enterprise IT teams maintain a wide range of hardware platforms, software applications, and operating systems. Add in hoteling, hot desking, and other flexible work environments – and you have a challenge for IT administrators to accommodate this diverse workplace. See why Targus docking solutions can support your most demanding requirements. 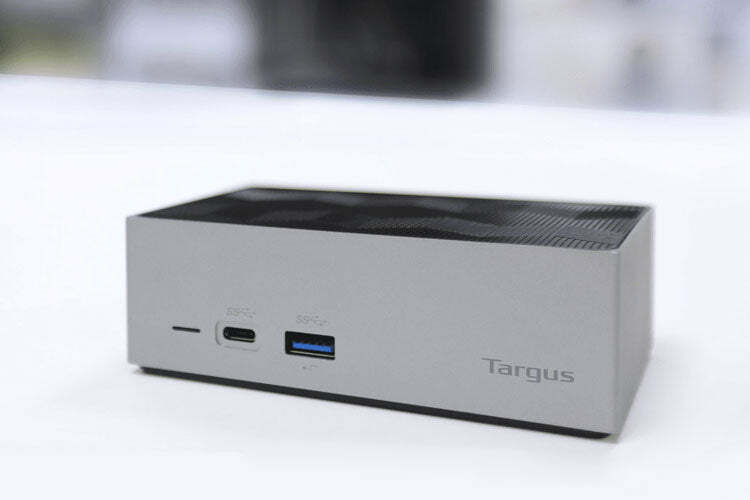 As the global leader in docking, Targus is uniquely equipped at supporting USB Type-A or Type-C devices (or both) that work across all major platforms. Our universal docking solutions are fully tested and proven to work with Mac® and PC platforms as well as Chrome™ OS, Android™, and Linux® operating systems. We’ve deployed more than 1 million universal docking stations around the world in more than 12,000 organizations – with over 90% of Fortune 1000 companies using our products. We work closely with all major technology vendors – including Dell®, HP®, and Lenovo® – to ensure that our docking stations are rigorously tested to ensure reliable performance and universal functionality. Our exclusive software not only enhances security but also improves the user experience on Windows®-based platforms. 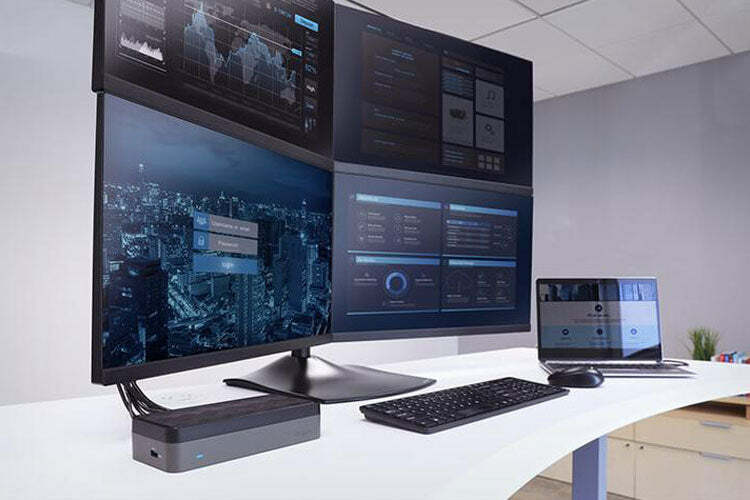 Features like Wi-Fi auto-switch, MAC address cloning, and storage of user settings are just a few reasons why our docking solutions are the top choice for mobile professionals. Our global team of field applications engineers provide complete pre- and post-deployment guidance to ensure your success and provide peace of mind. We stand behind our product quality. Targus offers an industry-leading, three-year warranty, so you’ve got full confidence that our docking stations will perform. With an extensive line-up of docking solutions to support 4K video, USB-C and Thunderbolt 3™ - we’re bound to have the right solution for you. Let us help you find the best docking solution for your enterprise. Fill out the form or contact us at (844) 277-0810.